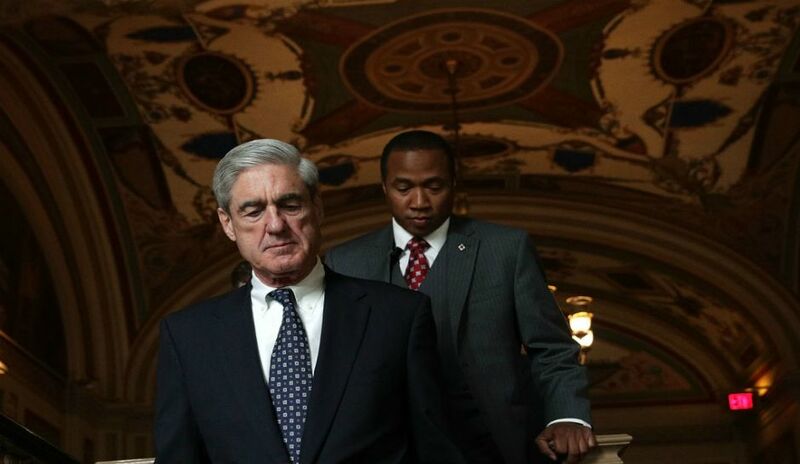 On Friday, Special Counsel Robert Mueller's office released a long-awaited report about Trump campaign ties to Russian interference in the 2016 U.S. elections. The report has not been made public, nor has it been provided in full to Congress. Over the weekend, Trump's hand-picked attorney general Bill Barr quoted portions of sentences from the report, and stated that the report proved what Trump has been babbling on repeat for weeks: No Collusion. None of the quotes Barr gave from the Mueller report were even complete sentences. We don't know what's in the report. But that didn't stop Trump and his campaign from going on the offensive today. One of the ways they're going on offense: sending official messages like this one to news producers. They sent this memo today to TV producers like ABC News's Meredith McGraw about television coverage of Robert Mueller's report.